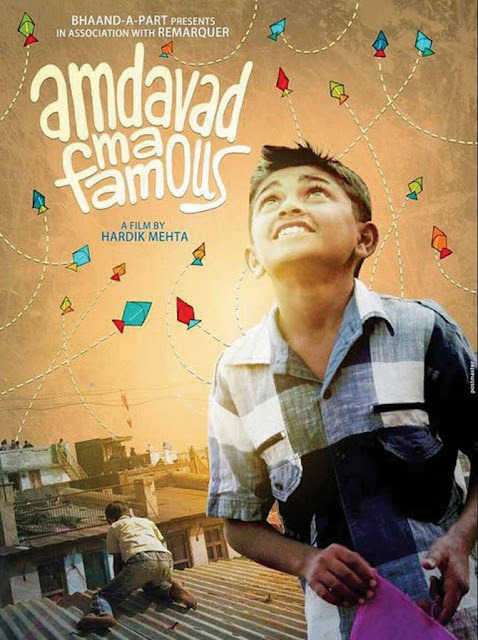 I recently watched Hardik Mehta’s National Award-winning documentary Amdavad Ma Famous (aka Famous in Ahmedabad) on Netflix. 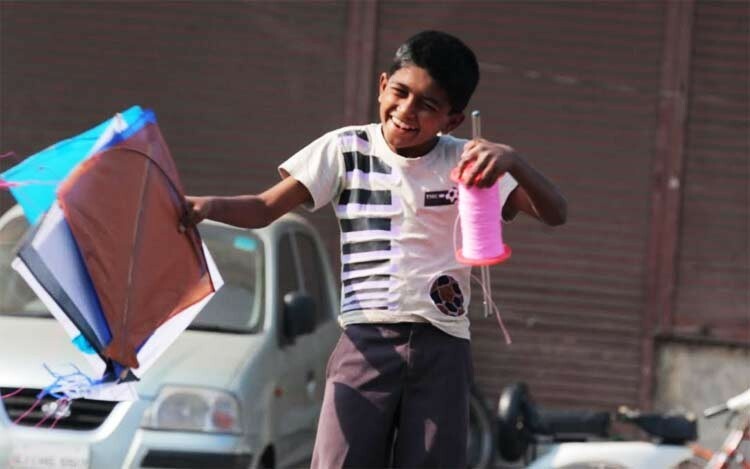 The film is set in the city of Ahmedabad and endeavors to capture the city’s passion for kite flying though the microcosm of a Muslim neighborhood inhabited by an 11-year-old boy named Zaid who regularly bunks school to fly kites with a bunch of urchins during the biggest kite-flying festival in India. Apart from winning the National Film Award for Best Non-Feature Film at 63rd National Film Awards, Amdavad Ma Famous has won several international awards such as the best short documentary award at the 2015 Budapest International Documentary Film Festival, the Jury Prize for Best Short Documentary at the 2015 Al Jazeera International Documentary Festival, Doha, Qatar, and the Golden Plaque in International Competition for Best Documentary Short at 63rd Belgrade Film Festival. The film’s success in both India as well as abroad is certainly a testament to its universal appeal. Amdavad Ma Famous is shot by Piyush Puty and Harshbir Singh. Good documentaries are able to seamlessly blend drama and realism. The same applies even if we look as some of the most famous early documentaries like Robert Flaherty’s Nanook of the North—a film about the struggles of an Inuk man and his family in the Canadian Arctic—and Dziga Vertov’s Man with a Movie Camera—an experimental film with no story and no actors. A documentary is not merely supposed to document facts like a typical news report but rather it should succeed in establishing a much deeper connect between the audience and the subject matter by painting images that evoke emotions. Film is a medium where the end sum can be larger or smaller than the sum of the individual parts. The filmmaker should ideally be able to show us what he/she sees, make us feel what he/she feels. This element of subjectivity is what defines the medium. Hardik Mehta, who has assisted Vikramaditya Motwane in Lootera and Vikas Bahl in Queen as a script supervisor shot Amdavad Ma Famous over two seasons of Uttarayan—a major festival of Hindus celebrated every year from 8th - 14th January noted for kite flying—in Old Ahmedabad. The shooting for Amdavad Ma Famous began in January 2014 when the Vadodara-based filmmaker was on a month-long vacation in Ahmedabad following the completion of Queen’s shooting. However, Hardik couldn’t complete the film by the end of the week and had to return next year to finish it. It all started with Mehta’s discovery of Zaid whose passion for chasing and collecting kites caught his attention. Mehta explains: “I saw a story there and called up Piyush (cinematographer). The very next morning he was there in Ahmedabad with his camera and sound equipment.” During the Uttarayan celebrations, the city of Ahmedabad bustles with joy and frenzy as kite enthusiasts as well as tourists gather in the city to take part in one of the world’s largest kite carnivals. 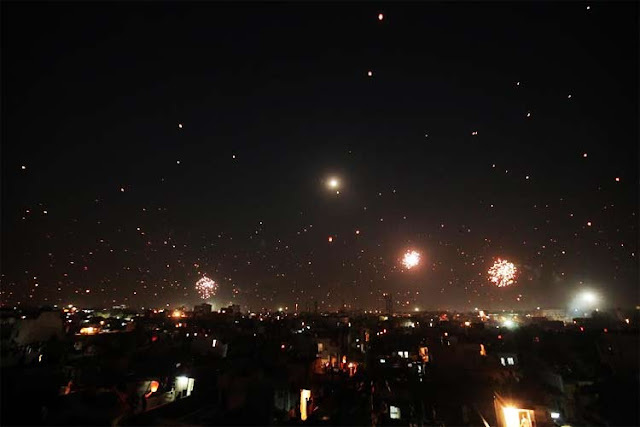 Amdavad Ma Famous weaves a brilliant narrative to capture the euphoria and excitement associated with kite flying during the Uttarayan festival. To its credit, the film does indeed have the thrill and excitement of drama and the realism of documentary. Perhaps, the biggest challenge as a documentary filmmaker is to make real people tell their lives’ stories in front of the camera. And Mehta is up to the task. He overcomes his greatest challenge with aplomb as obvious from each and every frame of Amdavad Ma Famous. He doesn’t merely succeed in making these people talk candidly about their lives but he actually manages to capture their lives in their very essence. While there is no denying that construction is at the very heart of filmmaking, whether its fiction or non-fiction, but when it comes to good documentaries the element of realism must be able to speak for itself. And it certainly does so in Amdavad Ma Famous. The film also serves as a powerful reminder of India's incredible cultural diversity. Highly recommended!